In my dreams, for as long as I can remember, a recurring problem is getting down from a height. In these dreams, I often have a great time getting to the top, and at the top. The challenge is to get down again! In last night's version, I ascended a height with sweeping views over Washington D.C., with two companions (both dream teachers). Up here, I could gather information on anything I wanted to know, the weather was fine and all was grand - until I realized that there was no obvious way down. We started looking for a safe way down, but could not find one. I consider calling to a policeman I can see across a ravine to seek help. Then I decide it would be better to call Superman. I have his mother's number. She is Ma Bell. When she answers, I ask "Is Clark available?" Not immediately, it seems, but she'll pass on a message. I inspect the near-vertical cliffs again, looking for places where there might be handholds and footholds. Not promising. I became lucid at this point. One of the triggers for lucidity - in dreams or waking life - is waking up to the fact that we are in a situation that has repeated, over and over. I considered my options, now fully aware that I was dreaming and could choose to do anything I liked inside the dream landscape. 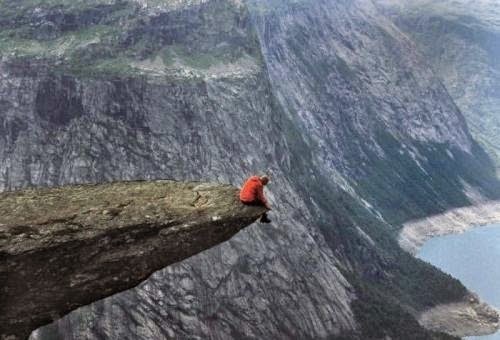 Could I simply jump off the edge and start flying? I had flown Superman-style in dreams and journeys many times. Couldn't I deploy the Superman power I had tried to call in before I became lucid? Nope, it wasn't that kind of a dream. More specifically, I was not in the kind of dream body that you can simply throw off a cliff. The dreamlands have their own integrity and solidity. You can fly in some, or shapeshift, but others operate by physical laws that are similar to those of the ordinary world - sometimes because they are physical environments that exist in future or parallel time. I have written about this situation before on this blog. In last night's dream, I was required to figure out the way down from the height. With the help of one of my companions (the other shrunk away from the edge, terrified of heights) I inspected and rejected several options for descending the steep cliffs on all sides. Eventually I found that a structure behind me on the hill contained an elevator in perfect working order that took us safely down. I did not fail to note that recognizing the presence and need for a little "structure" may be a condition for getting grounded and bringing things down from an upper level of consciousness to where people live! The year is 1100, and William II, called William Rufus (William the Red) is the second Norman king of England. He's a rapacious, rowdy, brawling character who has earned a lot of opposition, including that of the great scholar Anselm who is now Archbishop of Canterbury. The king has forced Anselm into exile. 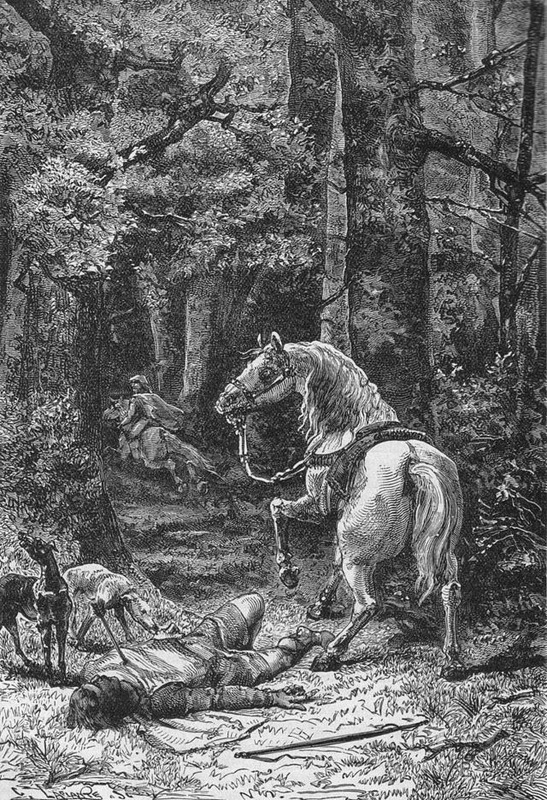 At the same time, or soon afterwards, William Rufus was struck by an arrow while hunting in the New Forest; he died the same night. Before the news reached Anselm, the archbishop was already journeying back to his cathedral, confident that the arrow fired in his vision had actually reached its mark, flying from the realm of the Aevum (for the medieval imagination, this was the dimension between the world of time and the world of eternity) into the kingdom of England. He received word of the fatal hunting incident as he entered Canterbury. The story soon spread across Europe that the cleric Anselm had the power to destroy kings through his prayers and visions. This account comes down to us from a chronicler known as Matthew of Westminster (also identified as Matthew of Paris). Modern scholarship suggests that the author may have stretched his facts more than a little. It appears that at the time of the king’s death, Anselm was in France – and did not return to his see until after five years of bargaining and jockeying with William II’s successor, Henry I. According to other chronicles, William II had his own premonitory dreams – in the most terrifying of which he saw blood spurting from his body until it darkened the sky. It is fascinating that on the morning of his death, the king received a dream warning he took seriously. 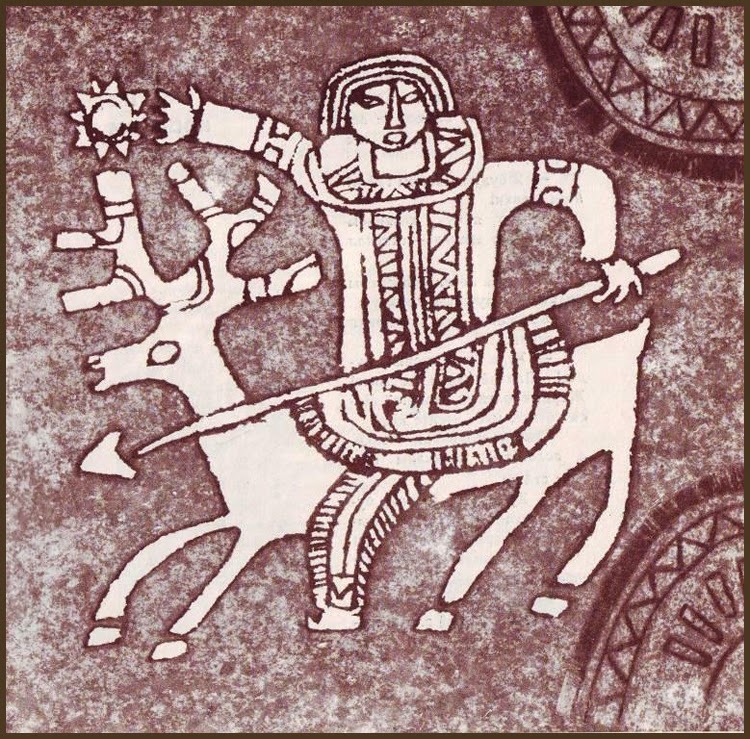 Robert FitzHammon brought William Rufus word that a monk had dreamed that he saw the king trying to bite off the legs of a figure of Christ on the cross. In the monk’sdream, the Christ figure came alive and smashed him to the ground. The king lay under Christ’s feet, belching fire and smoke from his mouth until the air was dark. The king was sufficiently rattled to order FitzHammon to give the monk a hundred shillings and “bid him dreame of better fortune to our person.” [Holinshed Chronicles 3:44] Holinshed reports that the king remained so troubled by the dream that he delayed going out to hunt until after lunch – at which he drank copiously – instead of riding out at dawn aswas his custom. Sources: The vision of Anselm is in Matthew of Westminster, Flowers of History. 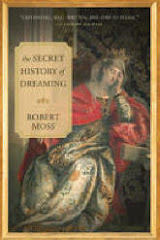 The monk’s dream is in Holinshed’s Chronicles 3:4. See Frank Barlow, William Rufus (Berkeley and Los Angeles: University of California Press, 1983) and C. Warren Hollister, “The Strange Death of William Rufus”, in Speculum: A Journal of Medieval Studies. 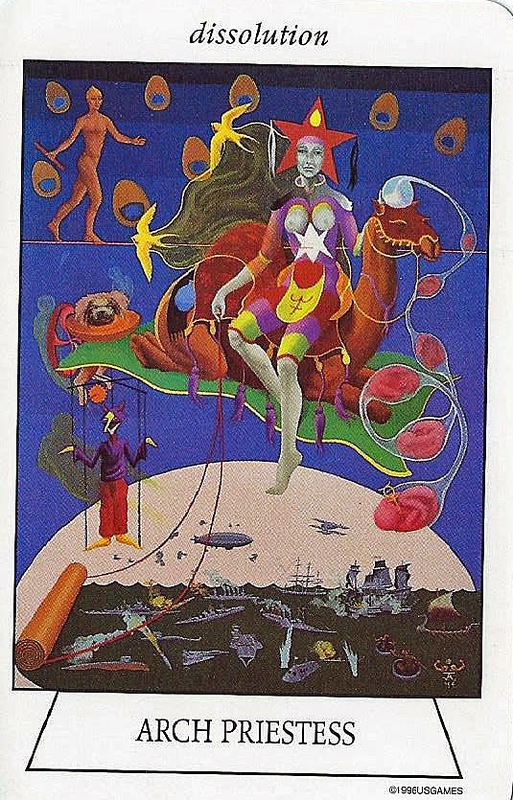 Vol 48, no.4 (October, 1973). I often use synchronicity to get a second opinion on what is going on in a dream. Sometimes I do that with the help of tarot. Often all that is required is to pull a single card; sometimes I am moved to draw a series of cards corresponding to different scenes, characters or elements in a dream on which I would like some further insight. I never consign the meaning of a dream to what the cards reveal, because dreams are vastly deeper and more various than any set of 78 cards designed according to someone else's ideas. Nonetheless, what the cards show can be provocative and illuminating. I see many examples of this when I lead my Tarot for Dreamers workshops. Upon occasion, the tarot can even produce an ally to help a dreamer move through a stuck place or confront a terror, in dreams of the night and in passages of the day. This is what happened, in a memorable way, in a Tarot for Dreamers playshop I led at a site with the perfect name for such things: The Dragon's Egg, Mystic, Connecticut. A dreamer named Ann recounted a dream in which she was terrified by a giant snake. The snake was enormous. It looked like a giant python. I was holding it by the neck, with my right hand. The huge, pale yellow head, lolled over my hand. I was trying to break its neck, but I couldn't. I woke up terrified. In discussion, Ann revealed that she had been frightened by snakes in a series of dreams over many years. She was evidently uncomfortable talking about the latest snake dream now. Yet she told us that she had been inspired to do some research and had discovered that the snakes in the ancient temples of Asklepios, regarded as medicine allies of the god of dream healing, were pale yellow in color. Thus she was open to the suggestion that there might be a power in her dream that was waiting to be claimed - if she was ready to brave up to the giant snake and see what needed to be done with it. I suggested that she might want to pull a card from her tarot deck for guidance on this. She drew one of the keys: Trump II, the High Priestess. The Priestess card, for me, offers a path of initiation, a way of going beyond the veil into the heart of the Mysteries. In pathworking on the Qabalistic Tree of Life, the path of the High Priestess, running from Tiphareth to Kether across the abyss of Daath, is the longest and most challenging, requiring the journeyer to pass a series of tests and brave up to a series of challenges. 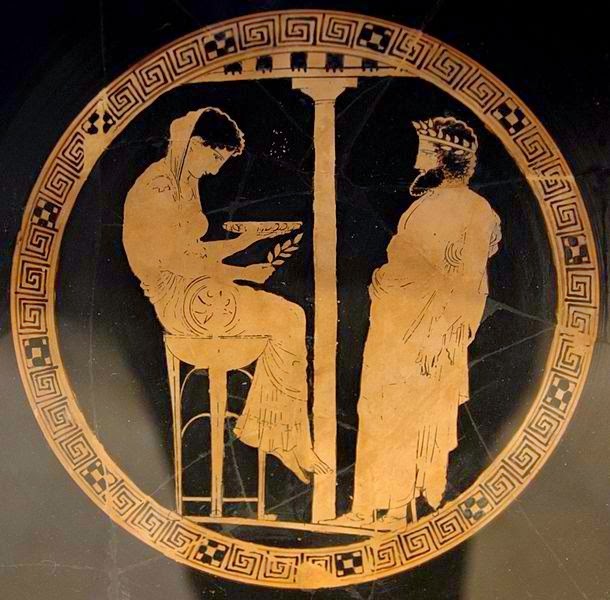 I also thought of the snake priestesses of the ancient world, especially the famous statue from Crete, and of the Pythia, the priestess-seer of the oracle at Delphi whose name literally means The Pythoness. The entry of the High Priestess into our circle of dreamers prompted me to suggest a travel itinerary to Ann: to journey to the High Priestess and seek her blessing for a close-up encounter with the giant snake. "See yourself stepping through the border of the card, as through the frame of the door, to meet the Priestess. Seek her counsel and protection for a further journey, to the place of the python, to see what you need to do with it." We agreed that, with Ann's permission, all of the participants would travel with her, as family support. I found myself at once before the High Priestess. From her throne, four snakes darted forward and wrapped themselves around my arms and my legs. To my amazement, I felt neither fear nor revulsion. The Priestess told me that the easiest way for my to connect with the serpent power was to let the giant snake swallow me. Now I was facing it. I saw its great jaws open and I let it devour me. I felt myself traveling at amazing speed through a series of landscapes. Then everything turned inside out and the serpent was inside me. I felt it move through all of my energy centers in a zigzag path, clearing blockages, raising a terrific vital energy inside me. I have finally conquered my fear of snakes and I am ready to dance with the Serpent Power. And she did. We were delighted to see her move into the midst of the circle with the sinuous grace of a snake dancer. Note: "Qabalistic"? Yes: the Tarot system inherited from the magicians of the Golden Dawn is related to the Western "Qabalah" rather than to Kabbalah. A useful guide to the correspondences is Robert Wang's The Qabalistic Tarot. Tarot for Dreamers workshops: My next one is at an even more magical location, Mosswood Hollow, in the wild woods east of Seattle, over the weekend of May 9-10, 2015. Image: This unusual version of the Tarot Priestess is from the Navigators Tarot of the Mystic Sea. When I announced a playshop titled "What The Fox Knows", devoted to appreciating the Trickster element in life, I was ready for that archetype to come into play, more abundantly than ever. I was not disappointed. Two days before I traveled to Mosswood Hollow, in the wild woods east of Seattle, to launch the workshop last weekend, I walked a hilly path at the Esalen Institute to open the afternoon session of a retreat I was leading there. I paused to watch a black cat crossing my path. Being a contrarian, I regard a black cat on my road as a positive sign. But this was not any black cat. It had a remarkable red bushy tail, the very semblance of a fox's brush. I felt, with delicious shivers, that a hybrid creature had slipped between the worlds to signal that the Fox was already in play. 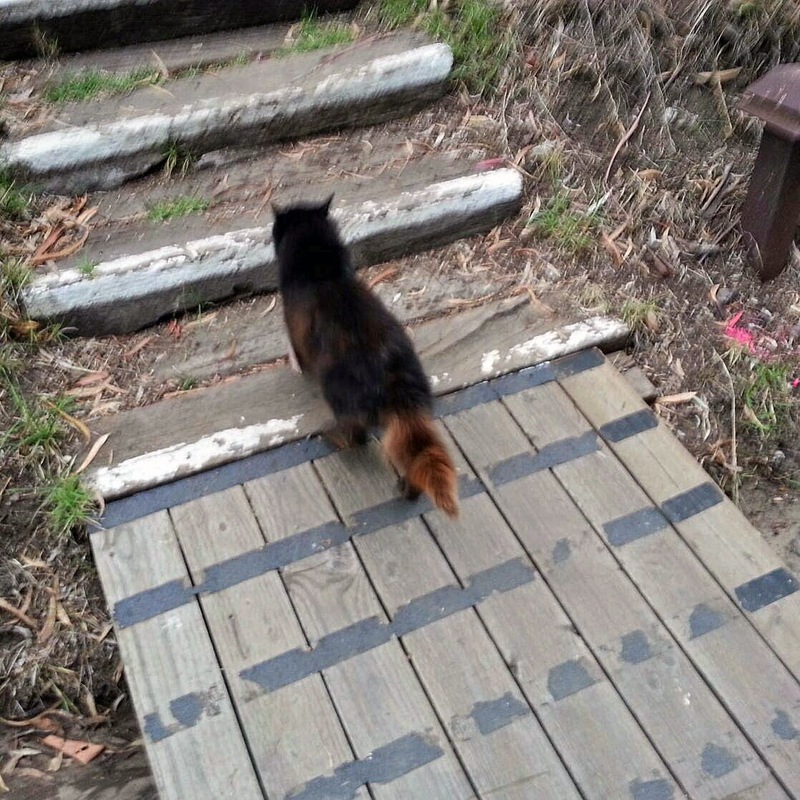 I recalled how, years earlier, leading a similar retreat at Esalen, I had spoken to the group about why Fox - even more than Coyote, or Raven, or Spider or Squirrel - is, for me, the quintessential form of the Trickster. The group seemed to be laughing harder than my humor could explain. "Look behind you!" someone shouted. I turned, and saw only coastal cypress and the Pacific Ocean beyond the cliff. I resumed my talk and someone yelled, "Look! He's back!" I turned again, and could not see what they were talking about. They had to explain to me that whenever I spoke of Fox, a fox stuck its head up, looking through the window at the group while my back was turned. The fox hid itself every time I turned to see. This happened three times. There's Fox for you. My Fox workshop was especially devoted to exploring how the Trickster can be our friend when we are willing to shift and improvise, but is our devil when we insist on sticking to plans and perpetuating old habits. Part of our study was how any setback in life can prove to be an opportunity if we are prepared to look for the door that may be opening when another door slams shut or refuses to open. A tall and beautiful redhead named Fiona joined us for the Fox workshop, bounding through the back door with sparkling confidence. Of Irish stock, now living in the Seattle area, she had decided to come only the day before, right after hearing about the workshop from a neighbor. She did well in the journeying, to her surprise. A recurring theme for her became: interrupted life paths and parallel lives. Asked to seek the gift in a setback, she found the memory of how she resented a friend who had caused her to miss a trip to Amsterdam she thought would be wonderful twenty-five years before, when she was 21. In her journey in the workshop, powered by shamanic drumming, she saw what that missed trip would have generated. “It was as vivid as a movie. If I had taken that trip, I would have met a Canadian man. I saw the two children we would have had together. And the fire that would have destroyed our sweet country home, and the deaths of the three people I would have loved most in the world. As the only one to escape, I would have lived with survivor guilt, clinging to a rotting shack and hard memories until I died. Wow, what a gift my friend messed up my trip all those years ago as my life has been such a blessing!" On Saturday afternoon, she discovered she had lost the keys to her car and asked help in searching for them. Most people joined in, searching all the places she had been on the property, reaching behind sofa cushions, scouring the floor of the yurt and the paths. Four people went through her purse after she had searched it several times. In the evening, someone used their AAA card to call a professional to open her car. The assumption was that she had locked her keys in her car, which the owner of the AAA card confessed to having done four times herself. The Triple A man arrived after dark and popped the lock. The redhead’s keys were not in the car. She stayed at Mosswood overnight, thankful that at least she had put some things in her car on the outside chance she decided to stay overnight. She had a second car key at home, but did not know where to find that since she had recently moved. In the morning, another member of the workshop said that she had received a strong message, "Maybe you can't find the key until you know what you are supposed to unlock." This struck a chord with the Fiona who had made some breakthroughs in her thinking about relationships over the weekend, and especially in a conversation that had just happened moments ago at the breakfast table. Paul, our wonderful host at Mosswood Hollow, came to Fiona and said, “Let me check your purse again. Maybe you have a secret pocket.” Fiona and Paul looked again and found the car key that wasn't there before. The theme of parallel lives, as in Fiona's glimpse of the alternate event track that would have started in Amsterdam, became a main preoccupation for our group. Becky asked for a dream to explore her parallel lives. At the Sunday breakfast table, she regaled us with a marvelous story. In her dream, she is met by "Mr Foxy", dressed like John Travolta. He tells he she must dance with him as the price of seeing what she wants to see. She is swept into a round of dirty dancing followed by tango. Then she is offered a choice of veils of different colors. Each veil will take her into a different reality. She chooses purple and is horrified to find herself facing the teeth of a barracuda the size of a shark in an underwater world. She next chooses white and finds herself in a desert watching pilgrims advancing towards a church or mosque. She does not belong here. She chooses gold and is greeted at a carriage by a slick character she distrusts before she checks his rear and sees a fox's tail protruding from under the flaps of his tuxedo coat. She is carried into scenes of a lush life. We had enormous fun offering feedback over breakfast. But a dream with this much life demands to be performed. So in the course of the day, we turned it into theater. Becky applauded, beaming, as the woman she had chosen to play her dream double was ground into dirty dancing by the foxiest man in the group. When it came time to check out Mr Slick, a prankster in the circle leaped up and pushed a large stuffed toy - a fox, of course - under the back of the player's sweater so the tail hung down. The bumper sticker was obvious, and irresistible. In appraising a man, Check Out His Tail. The best-loved of the Sufi poets, Jalaluddin Rumi, helped inspire a game I have improvised for my workshops, and I want to share the game here. The purpose is to take a close look at some of the moods and feelings that turn up at our door, like unwanted guests and distract us from what we are trying to do and can even crush the joy and the juice out of us. "Negative" feelings that surprise us may range from impatience or anxiety to rage or fear or guilt. Yet we can also be diverted or swamped by feelings that have a better reputation - like empathy or pity - if we can't contain or channel them. - Rumi gave the general idea in a poem titled "The Guest House". Here I am borrowing from the fluid version rendered by Coleman Barks. In Rumi's poem, each of us is like a guest house where visitors are turning up at all hours, and we need to be ready to receive them in appropriate ways. These visitors are moods and feelings. Rumi's counsel is to "treat each guest honorably. He or she may be clearing you out for some new delight." - So, the game goes like this: Imagine yourself at the door of your house - your actual house, or the house you would like to live in. Either way, this is also a guest house where visitors can appear at any time. Now picture that a feeling that challenges you is at your door. You are going to open the door, and NAME that feeling, and inspect it in the animate or personified form in which it presents itself. - Next and most important, you are going to figure out what you want to do with this visitor. Just sending it away is unlikely to work; the feelings you deny will find ways to haunt you and steal your energy. On the other hand, with certain feelings - especially certain forms of fear, the mind-killer - the best strategy (contrary to Rumi) may not be to bring them right inside the house, but rather to set them in a kind of "holding area" and call in help to deal with them. - The first time I played this game, in one of my circles, I met Impatience as the visitor at the door. He looked like a young, overstuffed, pompous version of myself in a power suit, so full of himself he really thought the world should make way for him every time he wanted something. I didn't care for him at all, but I made it my game to show him into a comfortable den, get him to take off his coat and loosen his collar, and loaded him up with good books and good movies on DVD and encouraged him to enjoy everything that was available to him while he relaxed and allowed the events he was waiting upon to unfold naturally. - A woman in that group met Empathy at the door. Empathy looked like Kwan Yin, but her form was entirely composed of water. The challenge was to engage with her without being swamped with emotion to the point of drowning. During our journey (aided by drumming) the woman succeeded in finding effective containment and channels for all that water of emotion. - Other players have met and named a host of personal demons, including the "noonday demons" of Depression and Despair. Among the host: Anxiety, Guilt, Remorse, Anger, Self-Pity, Sorrow, Self-Importance, Resentment, and The Dominator (note the dominant definite article). In handling such unwanted guests, the guest house managers have followed various strategies. One player filled her house with music to soothe and cheer Remorse. Another met a strung-out Anxiety at the door and got him washed and cleaned under the shower and comfy in a fluffy robe. Sometimes other residents of the guest house came forward to help, Joy overwhelming Fear or Grief. Want to play this game? 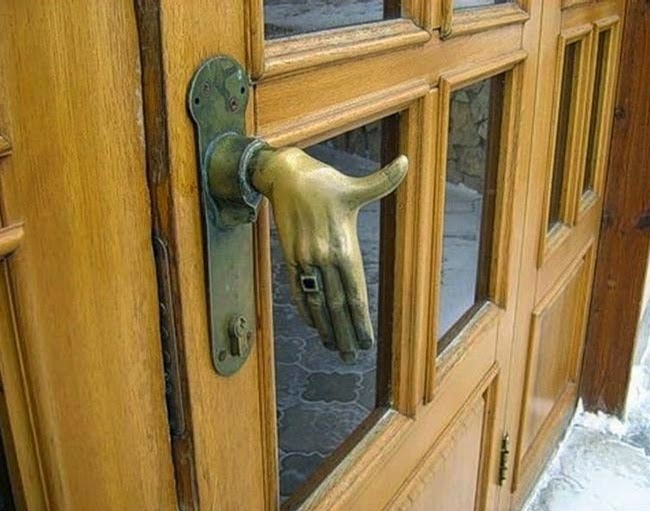 Picture the feeling that is your unwanted visitor at the door. Name it and visualize it. Then write up your report and decide how you need to handle this visitor in your life. Sandra Ingerman is one of the most authentic and important shamanic teachers and practitioners I know, and one of those who has done most to instruct us on why soul leaves the body and what we may need to do to get it back and keep it home. I traveled to the Boston area back in 1991, soon after her seminal Soul Retrieval was published, to attend one of her workshops. I felt immediate trust; here was a person without masks, a person of integrity wholly devoted to her calling. I was also delighted to meet a dreamer. Sandra spoke of how dreams had guided her own life, and suggested that workshop participants should ask for dreams on the first night in preparation for performing and receiving soul retrieval the next day. When I visited Sandra in Santa Fe after that workshop, she talked about a dream in which she had received profound healing. In chronic pain because of a condition no treatment had cured, she prayed for a healing dream. It did not come overnight. She renewed her prayer, night after night, for more than a month. At last she dreamed that a Native American man emerged from behind the sofa in her living room, holding a translucent blue rattle. He pointed the rattle at the part of her body where she was in pain. He shook the rattle over that place until the pain in her dream body was gone. When she woke from the dream, the pain in her physical body had also gone. When I recalled this episode to Sandra recently, she told me she had remained free of pain. One of the lessons of that experience, we agreed, is the need for persistence. If you don’t get what you are asking for overnight, try again, and again. A dream provided the spur for Sandra to write her second book, Welcome Home, which is about what we need to do to keep soul in the body after we have done some deep work. A message repeated in dreams over several years insisted on a basic requirement for healing: “The success of any healing is the ability of the client to receive the healing.” She “really got it,” she reports, when she was able to feel fully, in the dream state, what it is like to receive healing energy” on a cellular level. After her first visit to Egypt, a being from the collective mind of ancient Egypt followed her home. He was Anubis, familiar to every child who has ever been in the Egyptian room of a museum as a figure with the head of a dog or jackal. For ancient Egyptians (and those who find themselves connected to this tradition) Anubis is a great Gatekeeper, an opener of the ways between the worlds, and a patron of dreaming and astral travel. In a dream, Anubis introduced himself to Sandra as “the god that guards the levels between the worlds”. He instructed Sandra that there was a missing piece in her work: the missing key was” transfiguration”. Though students of the New Testament (and Harry Potter fans) will be familiar with the word, Sandra did not recall having heard it before the dream. The prompt from her dream Anubis led her to discover that transfiguration means shapeshifting on levels beyond her prior shamanic practice. It means the practice of raising and projecting light, as Jesus infused his disciples with light. Sandra Ingerman’s 1997 novel, A Fall to Grace, unfolds as a series of dreams within dreams. The protagonist leaves her body on an operating table under anesthesia and travels through various portals to many locales in nonordinary reality, meeting a series of guides, tests and initiations. The opening scene of the novel was delivered to Sandra in a conscious dream. As Sandra follows her way, as soul healer, champion of Earth and as dreamer, her work has deepened and expanded. She has dedicated herself to helping to transmute the toxic energies in our lives and our world. She has pledged herself to bringing light to those around her. In her personal creation myth, “the light created humans to play” and gave them a great gift: “the opportunity for spirit to have a body.” When we remember this, and embody it, we will cease to cause harm to ourselves and others.